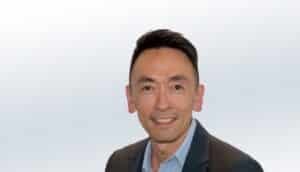 Dominic has over 20 years’ experience in business and strategy implementation, assuming senior and executive management responsibilities as part of major transformation programs within large public and private sector organisations. In his various roles at NSW Justice, Dominic has been instrumental in working with senior and executive management teams to instigate and navigate complex programs of service reform and change. Within the NSW Courts and Tribunals, his efforts have contributed to the maturing of digital service innovation and design thinking. Dominic’s engagement with peak forums across the NSW public sector has influenced the shaping of NSW State policies in innovation, digital service design and commissioning and contestability. Working with Steve Richards (NineSquared’s NSW Market Lead), Dominic will also be responsible for further strengthening our services in organisational, governance, and assurance reviews. As the Division–level business lead in the Office of the Deputy Secretary, Dominic played an instrumental role in making the courts of NSW a world leader in the adoption of digital services. Dominic managed and led the development of Treasury policy and major capital investment proposals for NSW courts and tribunals, including the Court and Tribunal Modernisation Project, Court Security and Counter-Terrorism Measures and Maintaining Access to Justice (Court Safety, Security and Stability). Dominic is a champion of cross–sector collaboration, helping NSW courts and tribunals to collaborate on a range of successful initiatives including the District Court Joint Working Group to tackle delays in the NSW District Court, Joined-up Justice data exchange platform between justice sector agencies and Office of State Revenue, and Justice AVL to enable court appearances via audio visual link from Police Stations, Correctional Facilities and Juvenile Detention Centres state-wide.